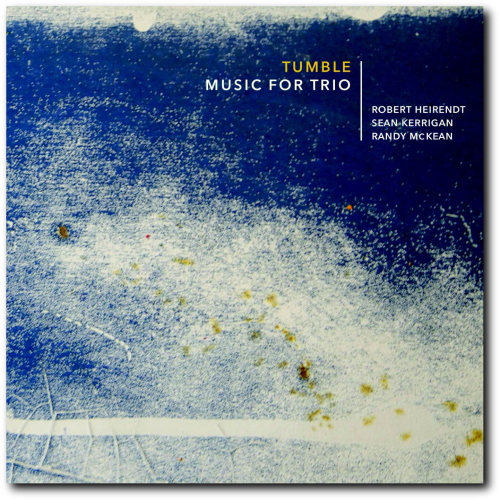 Tumble is an adventurous quartet influenced by the many musical traditions originating in Africa. Robert Heirendt provides the core of the group’s sound on the mbira, the Zimbabwean instrument sometimes referred to as the thumb piano. Heirendt is joined by Sean Kerrigan on guitar, Randy McKean on saxophone and clarinets, and Bill Douglass on acoustic bass. For their February 10 concert, Tumble will feature music from their newly-released debut CD. Recorded just prior to Douglass joining the group, Music for Trio features original compositions by Heirendt, Kerrigan, and McKean, as well as reworkings of a spaghetti western theme and a tune by jazz legend Wayne Shorter. They weave musical influences including traditional Zimbabwean trance music, modern improvisation, jazz, Afro pop, and experimental compositional structures. These diverse influences collide and tumble into one another in a subtle and refined manner. The quartet will be joined by special guests, including Heirendt’s young daughter Mei Lin on violin. Robert Heirendt provides the core of the group’s sound on the mbira, the Zimbabwean instrument similar to the kalimba and sometimes referred to as the thumb piano. Heirendt’s interest in African music began in the 1980s when he heard artists like Talking Heads, Brian Eno and Peter Gabriel incorporating elements of it into their own. He already had many years of performing under his belt as a keyboardist with the synth band Challenge the Light, but seeing percussionist Colin Walcott play the kalimba with the jazz/world fusion quartet Oregon, and attending concerts by African legend Thomas Mapfumo, led Heirendt to acquire an mbira. He subsequently studied with Erica Azim, an expert on the instrument and the traditional music Zimbabwe that uses it. Heirendt uses music in his work with children as a therapist with Nevada County Behavioral Health. Randy McKean met Heirendt through mutual acquaintances, but the two cemented their friendship after multiple encounters at Grass Valley’s Clock Tower Records, in which they discovered their similar musical interests while prowling through the used record bins. Intrigued by the possibilities of combining reeds with the mbira, McKean asked Heirendt to perform with him at a concert at Menlo Macfarlane’s gallery in 2013. The duo became the trio Tumble in 2014 when local guitar fiend Sean Kerrigan, another aficionado of jazz and world music who has performed with Gary Snyder, Ludi Hinrichs, the Belfry Brothers and the Burls, and who has spent extensive time in Central and South America, joined their ranks. The trio’s musical journey began with Robert teaching his partners a traditional Zimbabwean mbira trance tune. Subsequently, Heirendt and McKean contributed original compositions with echoes of their heroes John Coltrane, Wayne Shorter of Weather Report, and the Art Ensemble of Chicago. Kerrigan also began to write for the group, bringing in ideas with unusual meters and advanced jazz harmonies that the group helped fashion into intricate compositions through long jam sessions. The trio began performing at venues in Northern California. In Spring of 2015 they decided to document their work at Flying Whale Recording. The result is their self-release Music for Trio. Around the time of these recording sessions in Spring 2015, local bass legend Bill Douglass played with the trio as part of a solo CD release concert of Heirendt’s music Soft Sea Creatures. The musical chemistry among them was superlative, and by mutual agreement, Douglass joined the group. 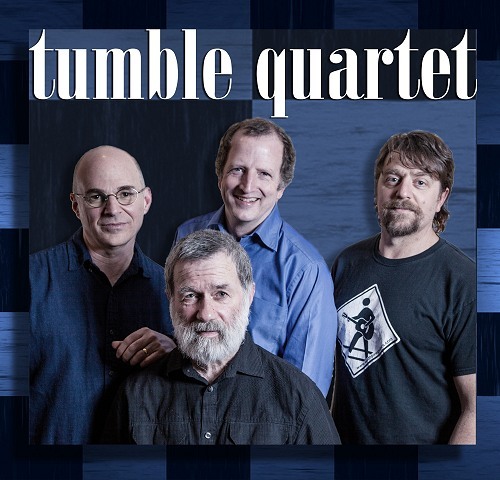 Douglass, who has worked with countless jazz masters, including Mose Allison, Marian McPartland, and Paul McCandless, another member of Tumble’s heroes Oregon, helped refashion the group’s sound yet again with his deep listening sensibility and seasoned musical artistry. The quartet plans to return to Flying Whale in the spring of 2017 to begin work on their next release.